Budapest is one of those cities I feel like I should have visited ages ago but just hadn't got round to. It's like that list of films everyone has that they haven't seen yet, but feel like they probably should have. For example, I've never seen Gremlins or Gone With The Wind... there, I've said it. Don't judge me. I flew in from Copenhagen (after a three-day work trip there) and made my way to a slightly shabby but excellently located Airbnb right in the centre of Budapest, about five minutes walk from the Danube. Historically, Budapest is two cities merged into one, Buda on one side of the river and Pest on the other. 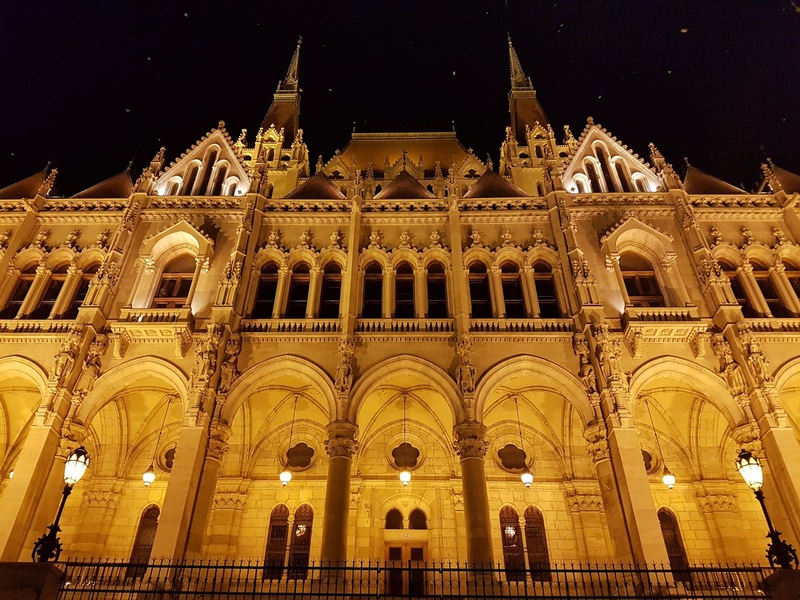 Pest is where most of the action is for tourists, with St Stephen's Basilica, the Jewish district and all the best bars and restaurants. 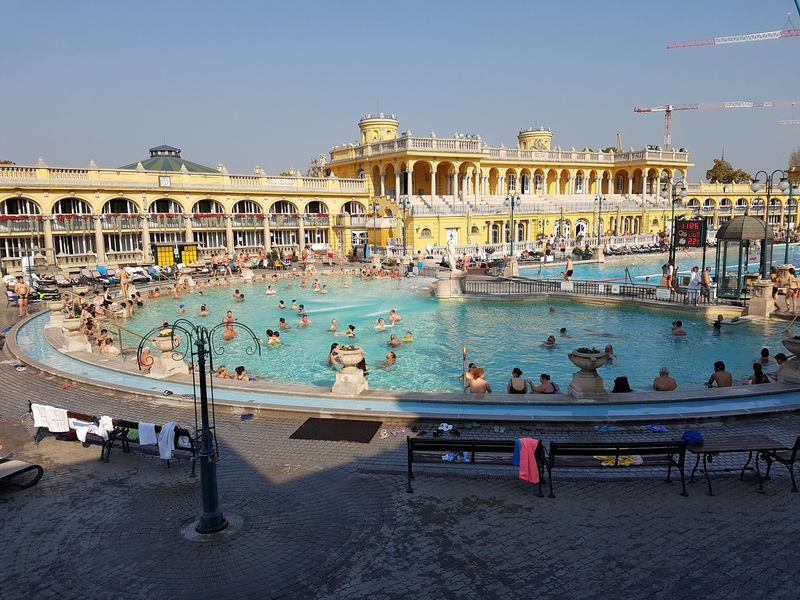 It also has the Széchenyi thermal baths, the highlight of my visit. 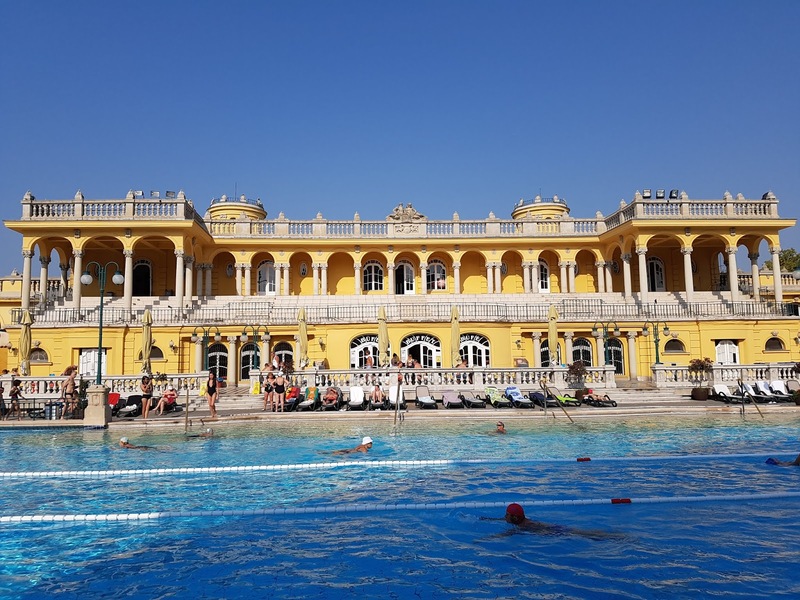 Around 30 or more pools of varying sizes and water temperatures, it's a wonderful way to spend a few hours in Budapest. I took the advice I was given to get there early (6am-10am) or late (6pm-10pm) to avoid the crowds in the busiest part of the day, and I was relaxing in one of the larger outdoor pools by 8.45am. Let's face it, I wasn't going to get there for 6am, this was a holiday after all. On my first morning in the city I went full tourist and joined one of the free (but not really free because you tip the guide afterwards) walking tours. It's one of the best ways to orientate yourself in a new city, learn a bit of history about the place and spot some things to go back to later. 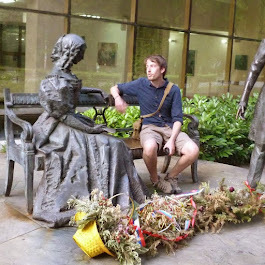 I was only there for three days and could easily have spent another day wandering about the city. 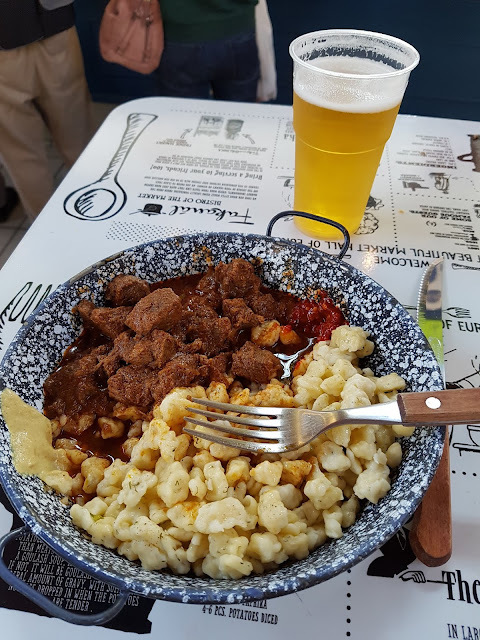 But on the other hand it was enough to be left wanting to back again to check out the things I didn't have time for and eat some more tasty Hungarian Goulash. 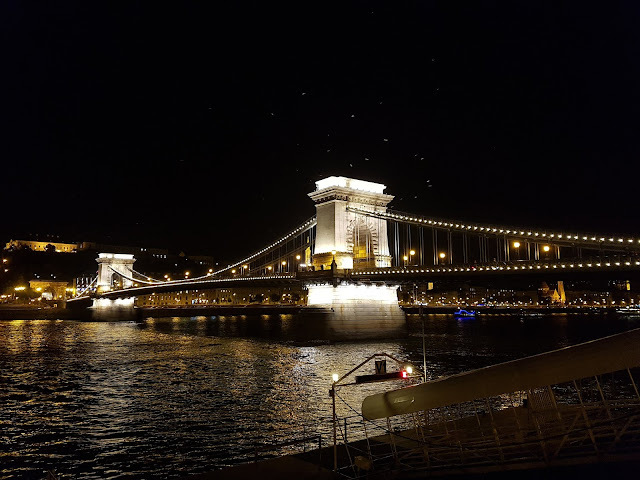 Budapest's not a bad looking city at night, especially down by the Danube, with bridges and buildings on both side illuminated. This is Széchenyi Chain Bridge. 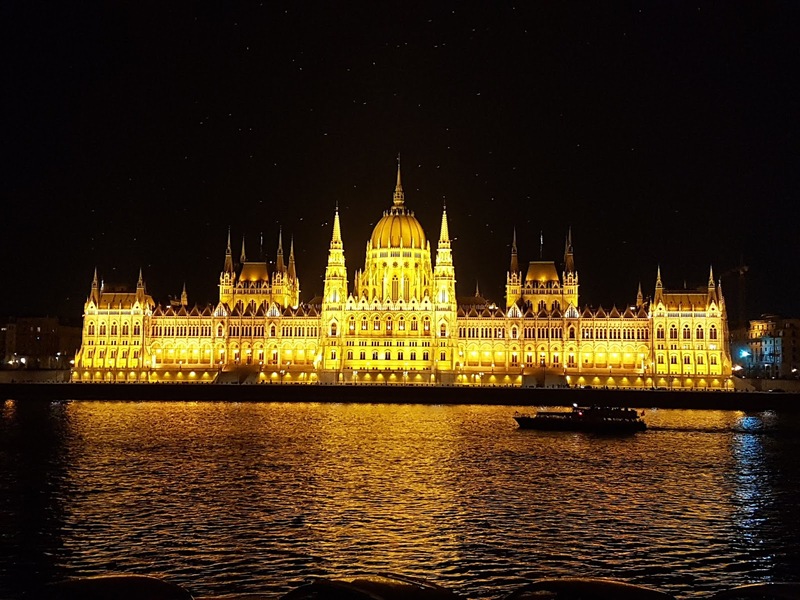 The Hungarian Parliament Building. The spotlights used to light up some of the buildings attract loads of bugs/moths, which in turn attracts a lot of birds who want to eat them. That's what all the white dots above the building in this photo are. Standing in front of the Parliament Building. 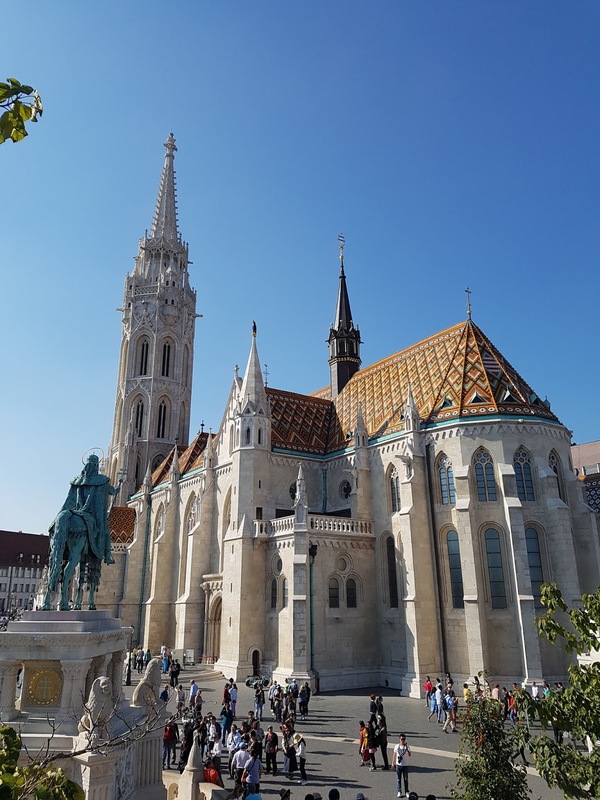 Matthias Church, over on the Buda side of the river. Photo taken from the Fisherman's Bastion, one of the shortest tourist attractions I've ever paid for. A quick walk round a wall and you're done. Can't remember where this was (somewhere on the Buda side of the river) but I liked the look of it. Central Hall Market is busy but you can get some proper Hungarian Goulash in there for a few quid, as well as endless stalls selling paprika-related gifts. Hungarians love the paprika. 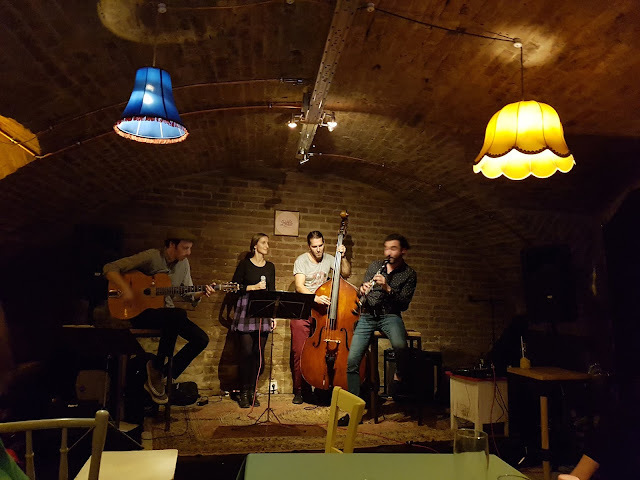 I tried out Airbnb 'experiences' and went to see the Secret Swing Concerts of Budapest, with a band that played swing jazz and a lot of Django Reinhardt. Would absolutely recommend if you're in Budapest on a Thursday night. One of the outdoor pools at Széchenyi thermal baths. There are plenty of thermal baths to choose from in Budapest, and I heard the Gellert is good too, but this is the most famous one. 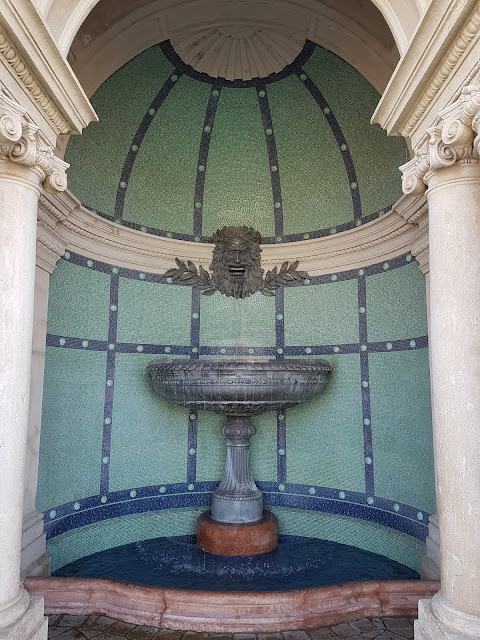 Another shot of the baths. It was warm and sunny when I was there but the baths are open all year round. It would be cool to go back again on a colder day and see the steam rising off the water. 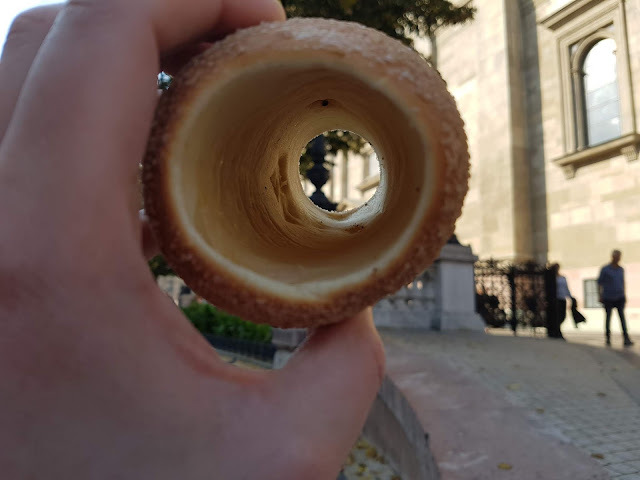 Chimney cake - a Hungarian speciality. A long cone-shaped cake sprinkled with cinnamon. 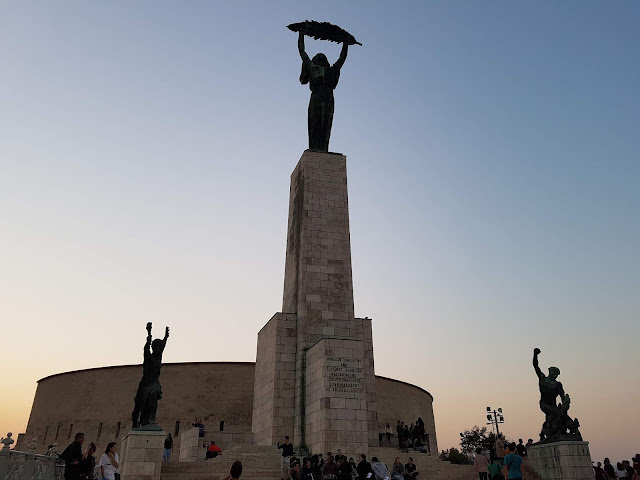 The Liberty Statue was erected under Soviet rule in 1947, but when Hungary gained independence in 1989 the locals decided they wanted to keep it. 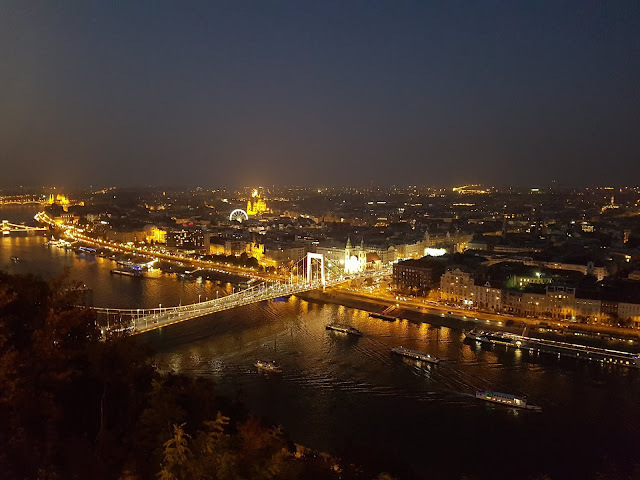 Shot of Budapest at night from the Liberty Statue's viewpoint, on the Buda side of the Danube.